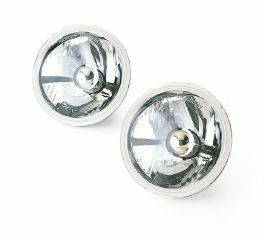 Beautiful signature light for models with Flat Lens turn signals. 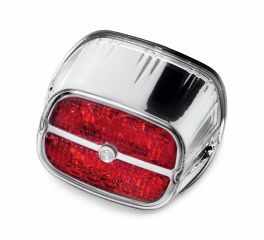 These Turn Signals feature fast acting, extra bright LEDs set in a low-profile die-cast chrome housings. 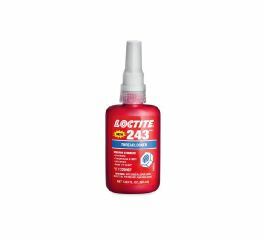 Loctite® QuickStix Threadlocker® is formulated to lock and seal threaded metal fasteners. 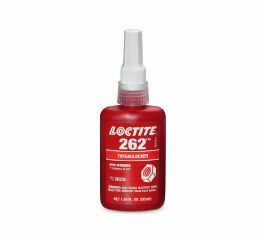 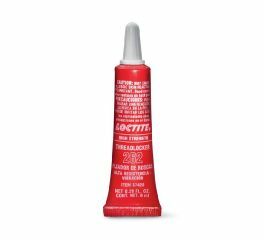 Loctite® 262 is a permanent, high break-away strength product designed for securing fasteners 3/8" to 1" in diameter that must withstand heavy shock, vibration, or extreme chemical or environmental conditions. 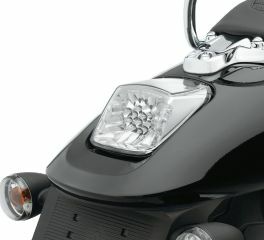 Add a traditional touch to your modern classic. 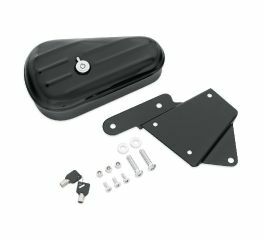 Gloss black teardrop-shaped Toolbox with latch provides just enough convenient storage space for your personal items. 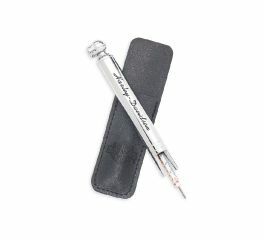 Add a traditional touch to your modern classic. 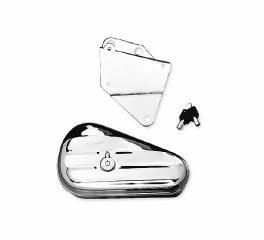 Mirror-chrome teardrop-shaped Toolbox with latch provides just enough convenient storage space for your personal items. 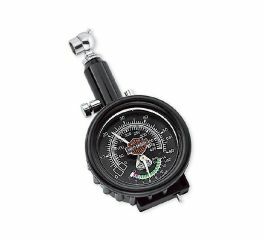 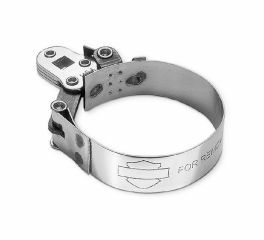 Chrome-plated steel gauge housing with Harley-Davidson® script and 90 degree air chuck with dual range indicator for air pressure and tire tread depth readings. 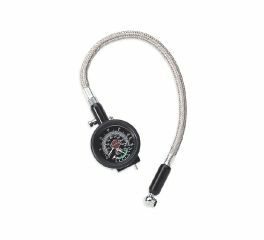 Combination dial air pressure and tread depth gauge with a 90 degree air chuck attached to the flexible stainless steel air line to provide easy access to the valve stem. 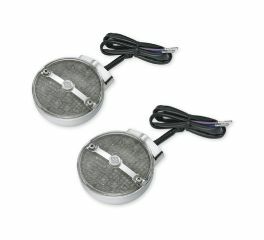 Durable internal diaphragm provides accurate air pressure readings with a dual range indicator for 0-60 psi and 0-400 kPa readings. 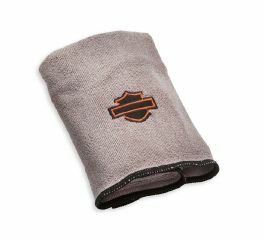 This super-soft microfiber synthetic cloth is the multi-purpose choice for washing, cleaning or buffing. 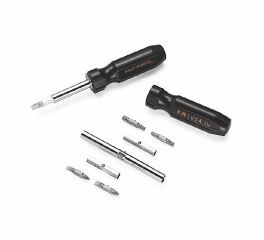 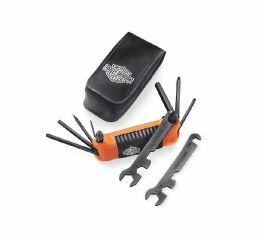 Ideal tool for most of the screws on H-D® products. 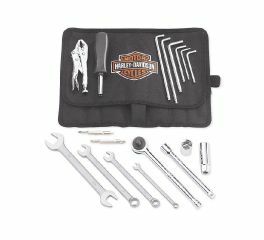 The unique 8-in-1 design conveniently stores all fittings within handle. 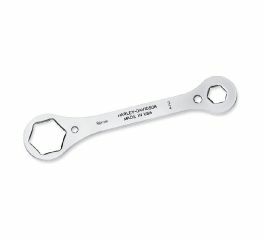 This slip resistant wrench, featuring a stainless steel band, is designed to make the removal of your oil filter much easier.